Gallup recently asked adults around the country a very simple question about immigration: Are you satisfied, or dissatisfied, with the level of immigration into the United States today? Are too many immigrants coming? Too few? Or is the number just about right? Put another way, 86 percent of Americans would like immigration into this country to remain at today’s level or to decrease, versus seven percent who want to see it increase. Given public opinion, it shouldn’t surprise anyone that the bill did not become law. Gallup did not ask about immigrants who are already in the United States illegally. But a Wall Street Journal poll touched on that question just before the State of the Union speech, asking respondents which issues should be “an absolute priority for the Obama administration and this year’s Congress.” On the list was “passing immigration legislation that would create a pathway to U.S. citizenship for foreigners who are currently staying illegally in the United States.” It ranked 12th out of 15 possible priorities, with just 39 percent calling it a must-do. Another immigration-related option, passing reform “that would do more to secure our southern border with Mexico,” ranked much higher, with 58 percent of respondents calling it an absolute priority. Public opinion is not stopping the administration from plowing ahead with the president’s decision to grant quasi-legal status, work permits and federal benefits to millions of immigrants here illegally. The confirmation hearings of Attorney General nominee Loretta Lynch showed just how determined the president is. It’s a safe bet most Americans would say the person in the country legally should get the job before a person here illegally. But not Lynch. “I believe that the right and the obligation to work is one that’s shared by everyone in this country regardless of how they came here,” she answered. Sessions went on to ask: What if an employer chose to hire a person who is in the country lawfully over an illegal immigrant covered by the president’s executive action? Would the Justice Department take action against that employer? Lynch wouldn’t answer. “I hear them. And I understand them,” Obama said. But the president explained he “had to act” on behalf of the immigrants. Obama knows the problem, and he feels for those who might be hurt; he’s just on the side of those here illegally. 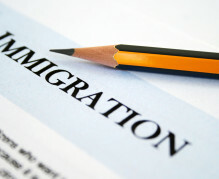 Many aspects of public opinion favor opponents of comprehensive immigration reform and of the president’s unilateral action. Yet even with that advantage, those opponents sometimes seem unable to make their case effectively. With Republicans now in control of Congress, it’s an open question whether GOP lawmakers can craft legislation that moves the nation’s immigration policy forward while still respecting public opinion.